Jesus and his disciples headed out for the villages around Caesarea Philippi. As they walked, he asked, “Who do the people say I am?” “Some say ‘John the Baptizer,'” they said. “Others say ‘Elijah.’ Still others say ‘one of the prophets. '” He then asked, “And you–what are you saying about me? Who am I?” Peter gave the answer: “You are the Christ, the Messiah.” Jesus warned them to keep it quiet, not to breathe a word of it to anyone. This is what’s happening in our scripture reading this morning. 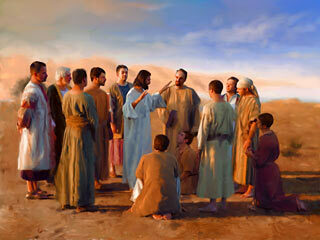 Jesus has started to explain to his disciples what will happen to him in the near future. He, Jesus, has been travelling around the countryside with his disciples, preaching and healing people, but he is now on a journey, a mission, steadily heading towards Jerusalem and the cross. Jesus knows his destination and he has started to tell his disciples what’s going to happen to him. But they don’t understand, they get perplexed and puzzled and anxious and alarmed. They don’t want to hear these words coming from their Teacher, their Messiah whom they have recognized to be so, and they don’t want to hear this devastating prediction of his suffering and his death. They don’t want Jesus to take this journey and they don’t want to be part of it. Peter starts to “rebuke” Jesus – the Greek word epitimao meaning admonish, censure, or forbid. So we see Peter forbidding Jesus to fulfil this prediction about his death. And what is Jesus’ reaction? He rebukes or forbids Peter his words, and Jesus says to him: “Get behind me, Satan!” Wow – powerful words and a powerful reaction. Jesus is addressing the temptation, or the tempter, behind the words he chooses. Have you ever been tempted to do something which you know isn’t good for you? Something that isn’t right? Have you ever been tempted out of spite or greed, meanness or revenge, anger or jealousy to react in a certain way, to do something or say something that you know isn’t right or good – that is going to cause trouble and be hurtful? What’s behind that? When Jesus says to Peter, “Get behind me, Satan,” Jesus isn’t calling Peter sinister names to hurt his feelings. 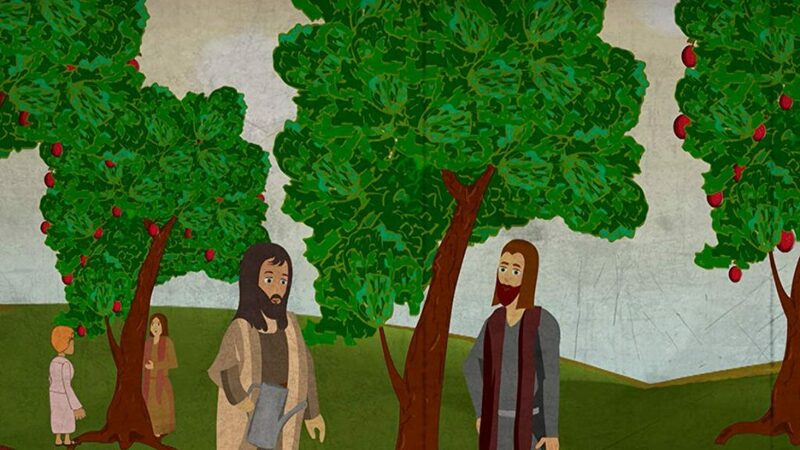 Jesus is addressing the temptation behind Peter’s words, the temptation at work, the tempter at work, who is trying to thwart Jesus from his mission. Jesus says to this temptation: “You do not have in mind the things of God, but the things of men.” Peter wants Jesus to give up this mad plan, this journey which will lead to his death. Peter and the disciples mourn the idea of their loved Jesus going to die. Jesus killed? They don’t even want to think of it. But Jesus knows God’s plan and his part in it, to go to that cross and die for the sake of men and women to offer them new life and a new way to connect with God’s Spirit through him. The comfort will come after the mourning, after the sadness – I will rise in three days, says Jesus. They don’t understand what Jesus means, but he knows. Jesus knows what his death and his resurrection will mean to all peoples everywhere. A wonderful new connection to his Spirit which will never die. His Spirit that will be with us always, even unto the end of the age, he said. And this makes me think back to those times in life when we get lost. We get perplexed and confused and worried and anxious, and we don’t know where we are and where we’re going. But God’s plan for us will only work if there is one person in charge: God. In The Message paraphrased Bible, it translates Jesus as saying: “Anyone who intends to come with me has to let me lead. You’re not in the driver’s seat; I am.” Jesus put God in the driver’s seat for his journey, he followed God’s plans and God’s will, and Jesus wants us to put him, and God, in the driver’s seat of our lives, too. This morning we celebrate together our Parkview United Church Annual Meeting. We are all united together as families, friends, and co-workers to run our church and keep it healthy and well, and with the many changes we’re facing within our United Church structure and governance, we can worry – where are going? Where are headed? Are we lost? We may worry about our own Parkview United Church this way. But can we trust in God taking charge? Taking complete control of what happens to us and where we go? It is truly a very difficult thing to do, because we want to be in charge, we want to be in control, and handing over our life, our will, and our church to God? To let God take charge? Wow – are we willing? But when we truly “Let go, let God” as the saying goes, it puts the ownership on God to lead us and guide us and take us where God wants us to be. In faith, and it is faith, in total faith, we trust that Jesus and God will do so. Can you ask Jesus and God to be in control of your life? Can you hand it over? Let them drive?